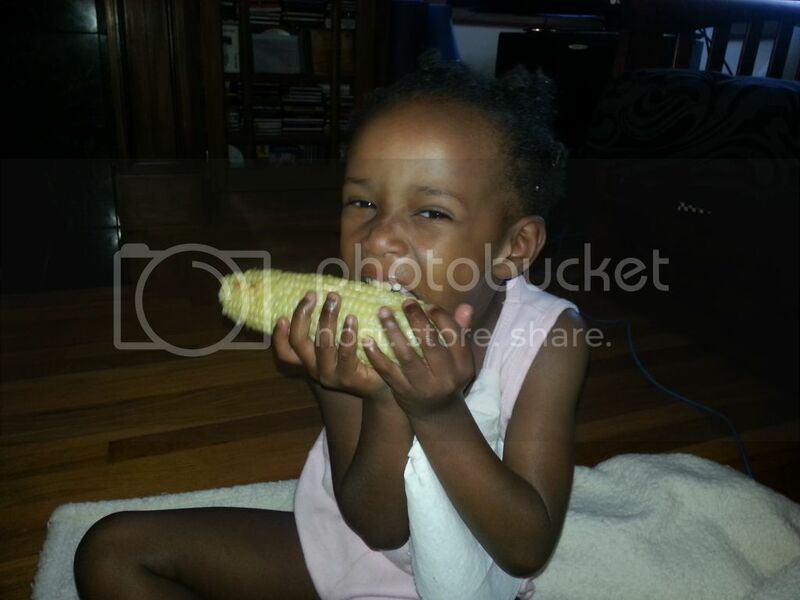 Here is my cornball enjoying her first corn on the cob. She ate two whole ears! Little Miss loves corn on the cob too! I swear that corn is bigger than Marlie's head though! Cute pic. Looks like she enjoyed it! HAHAHA!!! !I love me some corn on the cob and so does my youngest. She was eating some the other day and asked me what flavor was it. LOL I said, "Butter and salt." LOL, that is a big cob of corn, but looks delicious. Thanks for sharing your wonderful Wednesday. She's so cute! Did you make it any special way, or just let her try it "by itself" first? I love corn on the cob too. Especially from the grill. Oh man...that looks de-lish! Now I'm totally in the mood for corn on the cob. Mmmmmm. I can't even get P. to try corn on the cob!